Aksum and Nubia assembles and analyzes the textual and archaeological evidence of interaction between Nubia and the Ethiopian kingdom of Aksum, focusing primarily on the fourth century CE. Although ancient Nubia and Ethiopia have been the subject of a growing number of studies in recent years, little attention has been given to contact between these two regions. 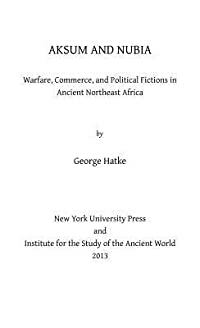 Hatke argues that ancient Northeast Africa cannot be treated as a unified area politically, economically, or culturally. Rather, Nubia and Ethiopia developed within very different regional spheres of interaction, as a result of which the Nubian kingdom of Kush came to focus its energies on the Nile Valley, relying on this as its main route of contact with the outside world, while Aksum was oriented towards the Red Sea and Arabia. In this way Aksum and Kush coexisted in peace for most of their history, and such contact as they maintained with each other was limited to small-scale commerce. Only in the fourth century CE did Aksum take up arms against Kush, and even then the conflict seems to have been related mainly to security issues on Aksum's western frontier. Although Aksum never managed to hold onto Kush for long, much dealt the final death-blow to the Nubian kingdom, as is often believed, claims to Kush continued to play a role in Aksumite royal ideology as late as the sixth century. 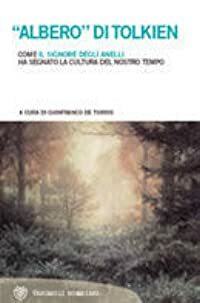 Aksum and Nubia critically examines the extent to which relations between two ancient African states were influenced by warfare, commerce, and political fictions. Online edition available as part of the NYU Library's Ancient World Digital Library and in partnership with the Institute for the Study of the Ancient World (ISAW).